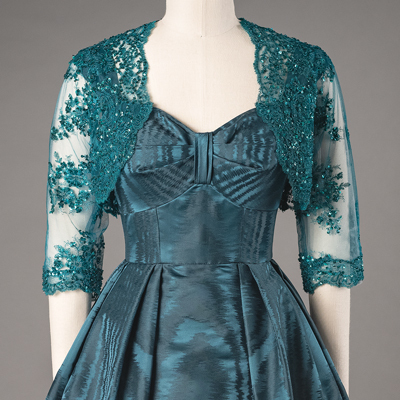 Costuming The Crown features 40 iconic costumes from the Emmy® award-winning Netflix series, The Crown, a dramatized history of the reign of Queen Elizabeth II. View the dazzling gold of Queen Elizabeth’s coronation robe, the simple sophistication of Princess Margaret’s wedding dress, as well as royal crowns, tiaras and more. 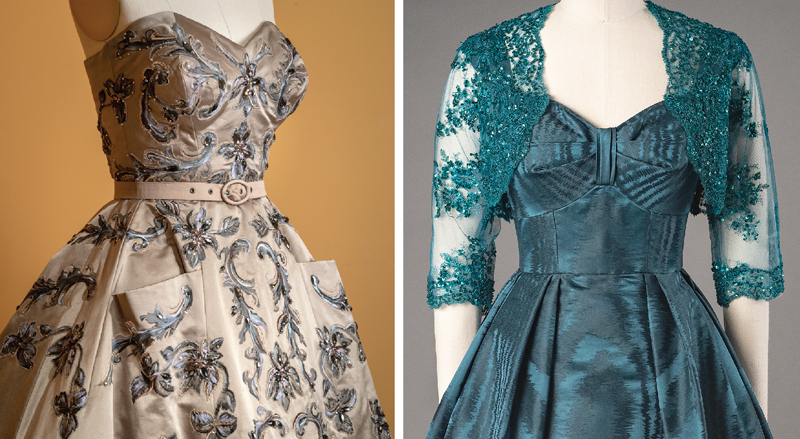 This exhibit provides a behind-the-scenes look at how costume design is used to create riveting drama and recreate history. 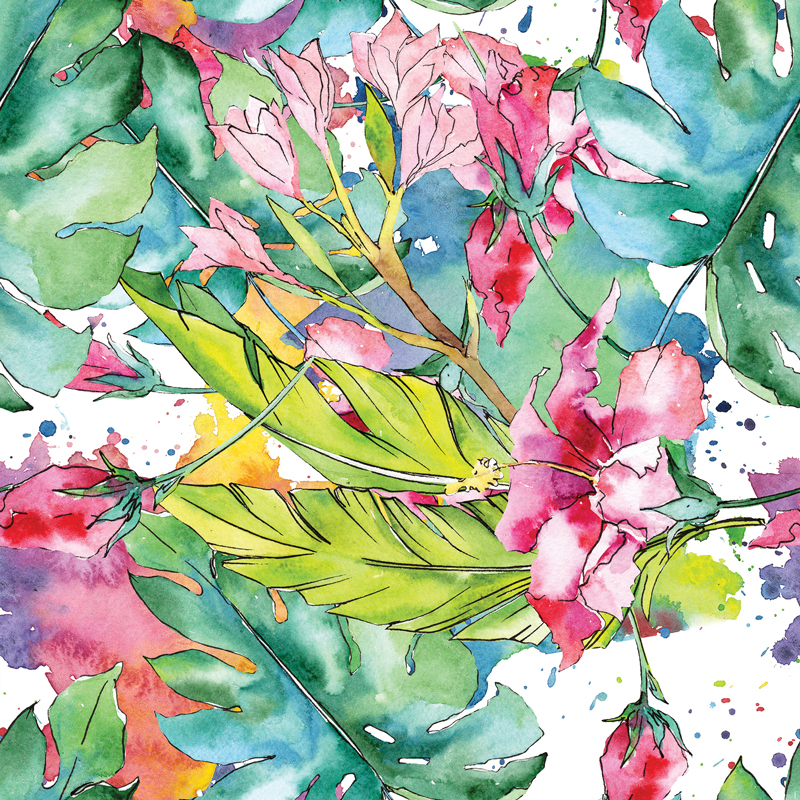 Explore the elegance and style of a bygone era by examining the extraordinary contributions of Emmy®- and BAFTA-winning designers Michele Clapton and Jane Petrie to seasons 1 and 2 of the series. 5105 Kennett Pike, Wilmington, Delaware. Information: 800-448-3883 or winterthur.org. 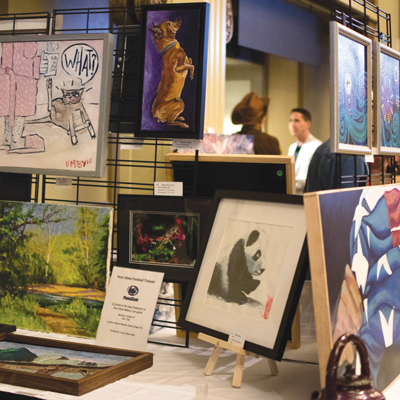 Humane Pennsylvania’s 2019 Art for Arf’s Sake Auction will allow patrons, supporters, volunteers and guests to enter the wizarding world of Harry Pawter. This year’s auction benefits the animals of Humane Pennsylvania, of which the Humane League of Lancaster County is a partner. The art auction is a lively and festive evening where guests enjoy the opportunity to indulge in the theme, dress as their favorite characters and bid on one-of-a-kind pieces from traditional paintings to unique works from renowned artists. 136 N. 6th St., Reading. 5:30 p.m. Information: humanepa.org. Fill up your cup at this year’s Chowderfest, benefiting local community charities and nonprofit organizations. 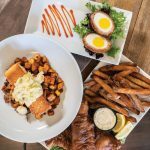 The day will feature over a dozen local restaurants, food trucks and catering companies. 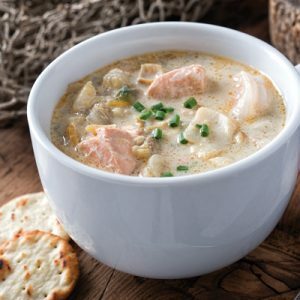 Sample a variety of soups, gumbos, chowders and more. Attendees will have the opportunity to vote for their favorites, and winners in different categories will be announced. There will also be a silent auction and entertainment provided by local musicians. In addition to the festivities, the event will also celebrate the anniversary of the repeal of prohibition. 280 W. Front St., Marietta. 11 a.m.-3 p.m. Information & tickets: 717-426-4141, facebook.com/therailroadhouseinn or eventbrite.com. 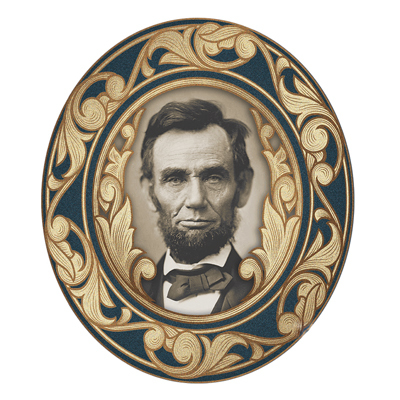 Abraham Lincoln’s funeral train passed through Stone Gables Estate on April 22, 1865. Join The Star Barn Village for the First Re-Enactment at the 154th year anniversary honoring one of America’s greatest presidents and heroes. Bells & whistles, re-enactors and mounted troops will celebrate the arrival of the Lincoln Funeral Car, also known as “United States,” when it travels on the .62 mile of original railbed as it did on April 22, 1865. Enjoy music, photo and history displays, tractor-pulled wagon rides and more. 1 Hollinger Lane, Elizabethtown. 10 a.m.-9 p.m. Information: 717-902-9791, thestarbarn.com or eventbrite.com. Join Marshall, Chase, Skye and the whole Paw Patrol gang in this action-packed, music-filled production! It’s the day of the Great Adventure Bay Race between Adventure Bay’s Mayor Goodway and Foggy Bottom’s Mayor Humdinger, but Mayor Goodway is nowhere to be found. PAW Patrol to the rescue! Ryder summons the furry friends to rescue Mayor Goodway and to run the race in her place. 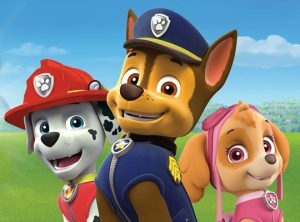 Using their unique skills and teamwork, the pups show that “no job is too big, no pup is too small,” and share lessons for all ages about citizenship, social skills and problem-solving as they make several heroic rescues on their race to the finish line. 15 E. Caracas Ave., Hershey. April 27, 10 a.m. and 2 and 6 p.m. April 28, 10 a.m. and 2 p.m. Information: 717-534-3405 or hersheyentertainment.com. 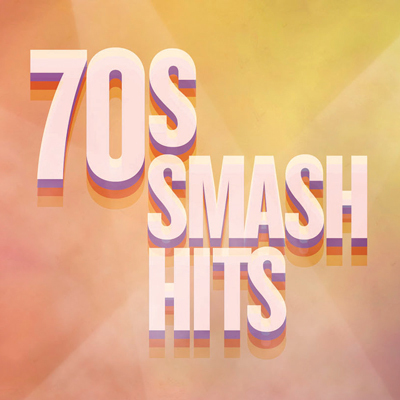 When Day by Day hit the airwaves, it was the era of everything from the Bee Gees to Journey. The 1970s are a stairway to heaven lined with great tunes. Get ready to rock out to the decade’s most iconic songs in this slice of American pie. 941 Wheatland Ave., Suite A. 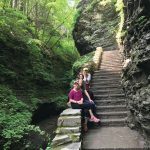 Information: 717-327-5124 or primalancaster.org. YWCA Lancaster invites you to attend and participate in this benefit race, which is celebrating its 21st anniversary. 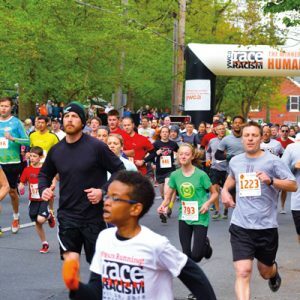 This race is the longest consecutive-running Race Against Racism in the U.S., attracting more than 3,000 participants annually. Proceeds support the YWCA Lancaster’s Social Justice and Advocacy programs. Rain or shine event. E. Chestnut and N. Lime streets. The certified 5K race will begin at 9 a.m. Kids’ Fun Run, a dash for kids through age 12, will begin at approximately 10:30 a.m. Humanity Fest – a multicultural festival – will be held from 7-11:30 a.m. at Musser Park. To register, visit register.chronotrack.com/r/39990. Information: 717-393-1735 or ywcalancaster.org. 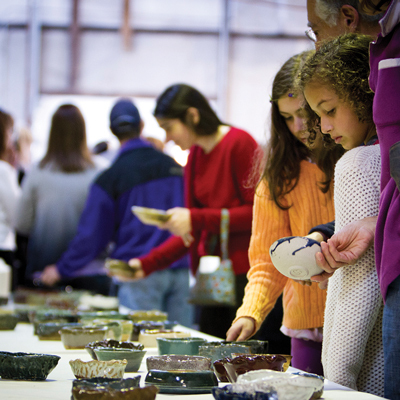 Empty Bowls is an international grassroots effort to fight hunger. A number of local restaurants, bakers and soup makers will be providing soup, bread and desserts. The first 400 to enter will take home free one-of-a-kind, handcrafted ceramic bowls created by potters and other craftspeople. 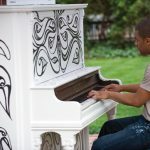 Live music and glass-blowing demonstrations will entertain attendees. Proceeds will benefit TLC/Veterans’ Victory House Lancaster. 560 S. Prince St. 4-7 p.m. Doors open at 3:45 p.m. Information & tickets: 717-397-0156, tlclancaster.org or eventbrite.com. 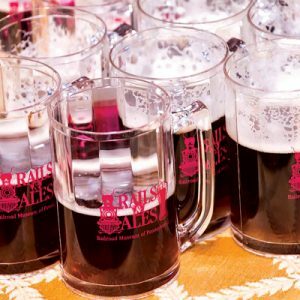 Hop on board and check out this annual craft beer-tasting event, consisting of various breweries, food trucks, live music and historic trains. Event proceeds will benefit the nonprofit Friends of the Railroad Museum of Pennsylvania. The VIP hour will be from 6:30-7:30 p.m. You must be at least 21 to attend. No infants, toddlers or children allowed. A current photo ID will be required for entry. No refunds or exchanges. 300 Gap Rd., Strasburg. 7:30-10 p.m. Information: 717-687-8628, railsandales.org or eventbrite.com. 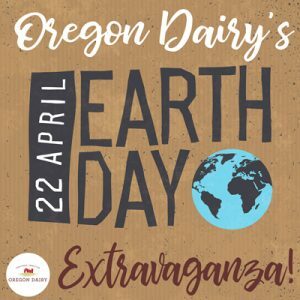 Oregon Dairy Organic’s is an innovative composting facility that takes in excess manure from local farms and diverts material from local landfills, turning them into useful, high quality compost for home gardeners, landscapers, park and athletic field managers, and organic farmers. By composting manure from local farms, food waste from local schools and restaurants, Oregon Dairy Organics is turning trash into treasure while preventing polluted runoff from reaching Lancaster County’s streams and rivers. The day’s events will consist of making your own birdfeeders (from 10 a.m.-2 p.m.) and tractor and wagon tours to the farm and compost facilities (tours are $5 per person, from 10 a.m.-2 p.m., and begin at the top of each hour). Attendees will also receive a bag of Oregon Dairy’s own compost. 2900 Oregon Pike, Lititz. 7 a.m.-8 p.m. Information: 717-656-2856 or oregondairy.com.